This wonderful piece is brought to you straight from Italy. The ottoman matches one of the Bakokko armchairs perfectly. 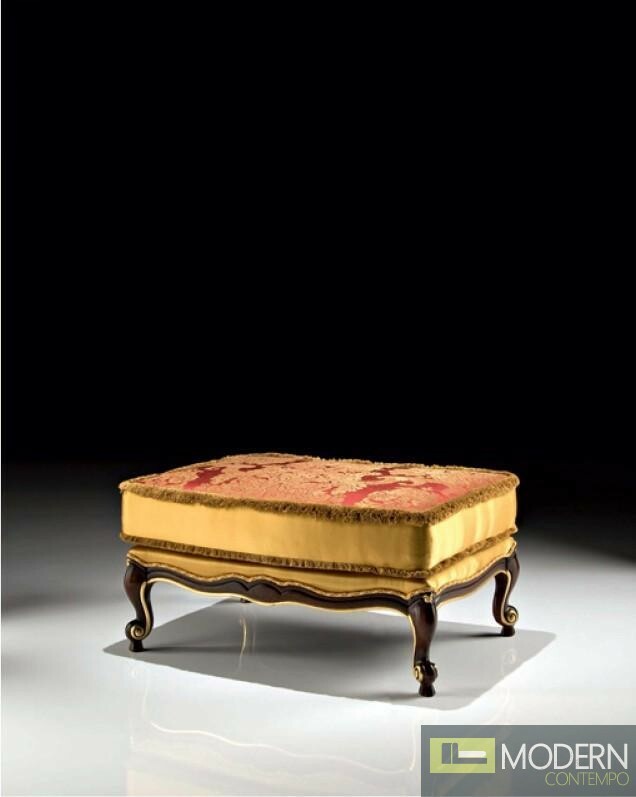 The frame is made of sturdy hardwood and the cushion is upholstered in silky red and gold fabric.